The prime minister has summoned the cabinet to discuss the government’s response to the suspected chemical weapons attack in Syria. The allies wants to prevent a repeat of an apparent chemical attack in Douma. 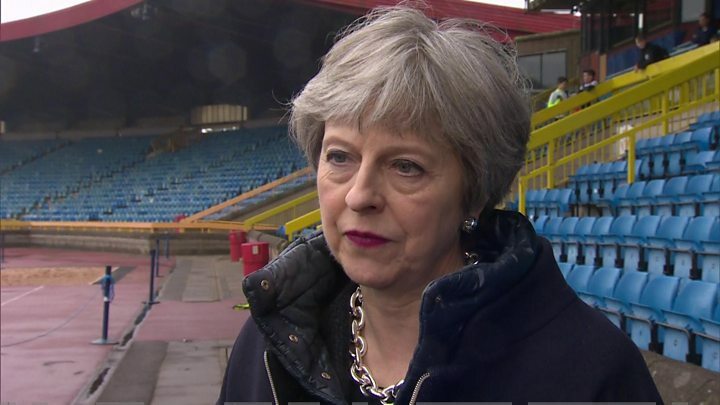 Mrs May has said “all the indications” are that the Syrian regime of president Bashar al-Assad, which denies mounting a chemical attack, was responsible. If the cabinet approves UK involvement in military action, that would open the way for British forces to join an operation against Syrian targets that US President Donald Trump has said in a tweet “will be coming”. During a briefing on Wednesday, however, White House spokeswoman Sarah Sanders appeared to row back on President Trump’s earlier warning to Russia that it should “get ready” for missile strikes against its ally. Does Theresa May need MPs to approve UK action in Syria? Mrs May is reluctant to ask President Trump to hold off any action until she has the opportunity to consult MPs, the BBC understands from well-placed sources. Mrs May is still yet to unequivocally point the finger of blame at the Assad government but she has spoken of the need for action “if” the regime is found to bear responsibility. BBC diplomatic correspondent James Landale said the cabinet was expected to back the PM, but she seems willing to act without the express support of parliament. However, he said this would anger some, including Labour leader Jeremy Corbyn, who believes parliament should be consulted first. Mr Corbyn has also warned that bombing could escalate the situation in Syria. Mrs May has described the alleged use of chemical weapons as a “humanitarian catastrophe” that “cannot go unchallenged”. She did not comment on Donald Trump’s tweeted warning Russia to “get ready” for missiles being fired at its ally Syria. Slowly but surely the ground is being prepared for war. Members of the cabinet will return to London later to discuss the government’s response to the suspected chemical attack on Douma. Theresa May will set out the evidence that she believes shows the Syrian government was responsible, and she will set out the military options being considered with US and French allies. Key questions will be what British forces might be used against which targets, what will be done to avoid escalating the conflict, and what is the overall strategic aim. The Ministry of Defence refused to comment on reports that a submarine had been dispatched to the Mediterranean – but it would be surprising if this had not been done. Mr Corbyn told the BBC that Parliament “should always be given a say on any military action”. “We don’t want bombardment which leads to escalation and a hot war between the US and Russia over the skies of Syria,” he added. Lib Dem leader Sir Vince Cable did not rule out backing military action but he said Parliament would have to give its approval with conditions. 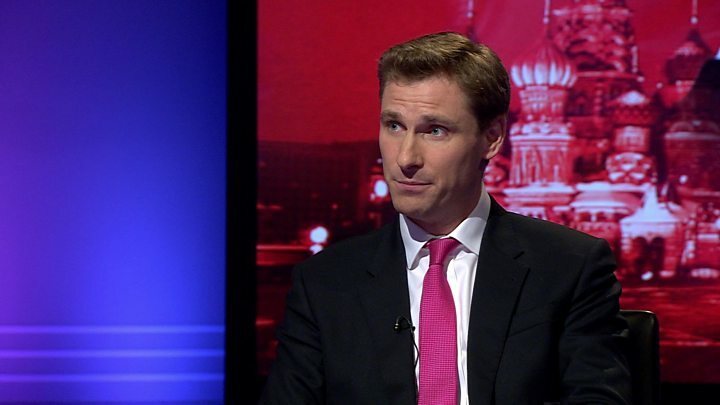 But Conservative MP Chris Philp told BBC’s Newsnight that although a vote was “desirable”, events can move too fast and it was not a necessity. “I wouldn’t make any assumptions about the vote,” he added. Fellow Tory MP Bob Seely – a member of the foreign affairs select committee – said Mrs May did not need parliamentary approval if the UK offered non-lethal support to the US. But he added: “I am hoping there is a strategy which the government will tell us about [and] I am hoping that Donald Trump and his administration will talk to us about what strategy they have. Medical sources say dozens of people were killed, including children, during the alleged toxic bombing of the formerly rebel-held town of Douma, in the Eastern Ghouta region. Russia has described the reports of the chemical attack as a “provocation” designed to justify Western intervention against the Syrian regime. Mrs May described the alleged chemical attack as a “shocking, barbaric act” and said she was “appalled but not surprised” at Russia, which vetoed a US-drafted UN resolution proposing a new inquiry to establish who was to blame. The UK and its allies were looking at ways to “prevent and deter” the use of chemical weapons, she added.